2006-09-10  The first match of the day was drawn between Pakistan and Spain. The 2:2 does not help either team, both now with five points on ranks three and four of pool A. Regarding the matches played yet, Germany was expected to defeat England. Despite this the fans in the fully booked Warsteiner HockeyPark saw a spirited fight of the English team, with Germany in the end being lucky to score a 2:1 victory. The outcome of today's third match was a real surprise, as South Africa managed to win a point vs. Korea by 2:2. Due to the fact that Germany with also seven points and the some difference has scored one more goal, Korea loses the lead of pool B to Germany. 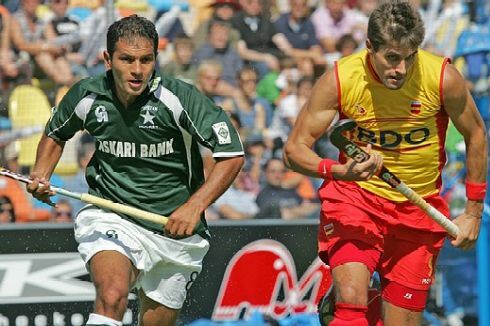 The last match of this fifth day of the tournament was Australia against Japan, with the Kookaburras 3:1 victory never endangered at any time. Australia now ranks second in pool A behind New Zealand.